On 11 September the European Parliament voted in favour of the Energy Efficiency Directive which will result in energy-saving measures throughout Europe. The measures include renovating public buildings, energy-saving schemes for utilities and energy audits for large firms. They represent opportunities for reducing energy costs which will impact on the building sector. Energy saving is an important issue for the sector and CEPI welcomes the positive outcome of the vote. The directive will impose rules for the renovation of public buildings by requiring Member States to renovate 3% of the total area of “heated and/or cooled buildings owned and occupied by their central government”. This will apply as from 1 January 2014 to buildings with a “total useful floor area” of more than 500 m², as from July 2015 more than 250 m². Member States will also be able to use alternative means to achieve equivalent energy savings. 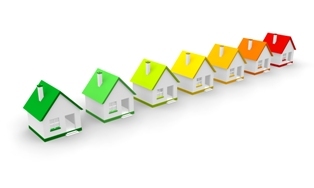 - an indicative estimate of expected energy savings. Member States will need to ensure that as far as possible final customers for electricity, gas, district heating, district cooling and domestic hot water are provided with competitively priced individual meters (providing information about energy consumption and actual time of use). Such meters must be provided when a new connection is made in a new building or a building undergoes major renovation. Individual consumption meters will have to be installed in multi-apartment buildings by January 2017 to measure the consumption of heat or cooling or hot water for each unit where technically feasible and cost efficient. Member States must also ensure, by 1 January 2015 that billing information is accurate and based on actual consumption. Energy companies covered by the directive will have to achieve a “cumulative end-use energy savings target” by 2020. This target will have to be at least equivalent to achieving new savings, each year, from 2014 to 2020, of 1.5% of annual energy sales to final customers. All large enterprises will be required to undergo an energy audit which will need to start within three years of the directive’s entry into force, and be carried out every four years by qualified and accredited experts. Special provisions for establishing financing facilities for energy efficiency measures will be included in the directive. The directive was adopted with 632 votes in favour, 25 against and 19 abstentions. It will enter into force 20 days after its publication in the EU’s official journal.